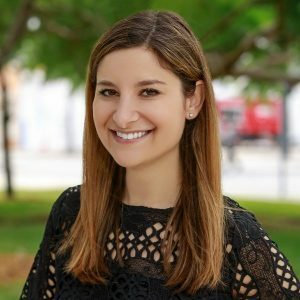 Stephanie Marcus is The Miami Foundation’s Senior Development Assistant. In addition to overseeing the processes in place to manage the Foundation’s Fundholder relationships, she provides administrative support, manages a Fund portfolio and works to ensure delivery of donor services. Prior to joining the Foundation, Stephanie earned her Bachelor’s degree in Sport and Entertainment Management from the University of South Carolina. After graduating, Stephanie worked as a paralegal for a real estate law firm in Atlanta and has been the transaction coordinator for The Jills for four years. She is actively involved with the Miami-Dade Humane Society, Miami-Dade Animal Services and Habitat for Humanity.